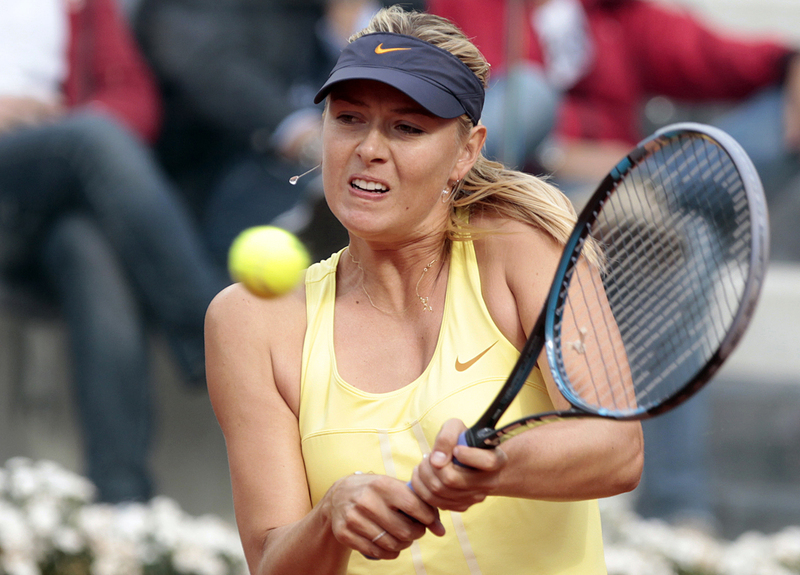 ROME  Maria Sharapova beat Sam Stosur 6-2, 6-4 in the Italian Open final Sunday for the biggest clay-court title of her career. After a three-hour rain delay, the seventh-seeded Sharapova won the opening four games, then cruised from there to follow up her victory over top-ranked Caroline Wozniacki in the semifinals. This tournament is a key warmup for the French Open, the clay-court Grand Slam that begins in one week, and Sharapova will now clearly be one of the favorites in Paris. Sharapova is a three-time Grand Slam winner, and Roland Garros remains the only major title she hasn't won. In the men's final, top-ranked Rafael Nadal was set to resume his budding rivalry with No. 2 Novak Djokovic. Djokovic beat Nadal in the three previous finals the two have played this year, including his first victory on clay over the Spaniard in Madrid a week ago. Nadal has won this clay-court tournament five of the last six years, while Djokovic is riding a 38-match winning streak. Stosur hadn't reached a final since losing to Francesca Schiavone at Roland Garros last year, and the Australian is now 0-8 in her career against Sharapova. A former No. 1, Sharapova had been struggling to regain her top form since undergoing right shoulder surgery in October 2008  which caused her to miss 10 months. The Russian won her last title in Strasbourg, France, a year ago. With her fiance and New Jersey Nets guard Sasha Vujacic watching from the stands, Sharapova didn't drop a set all week, and she needed just 1 hour, 23 minutes to beat Stosur.